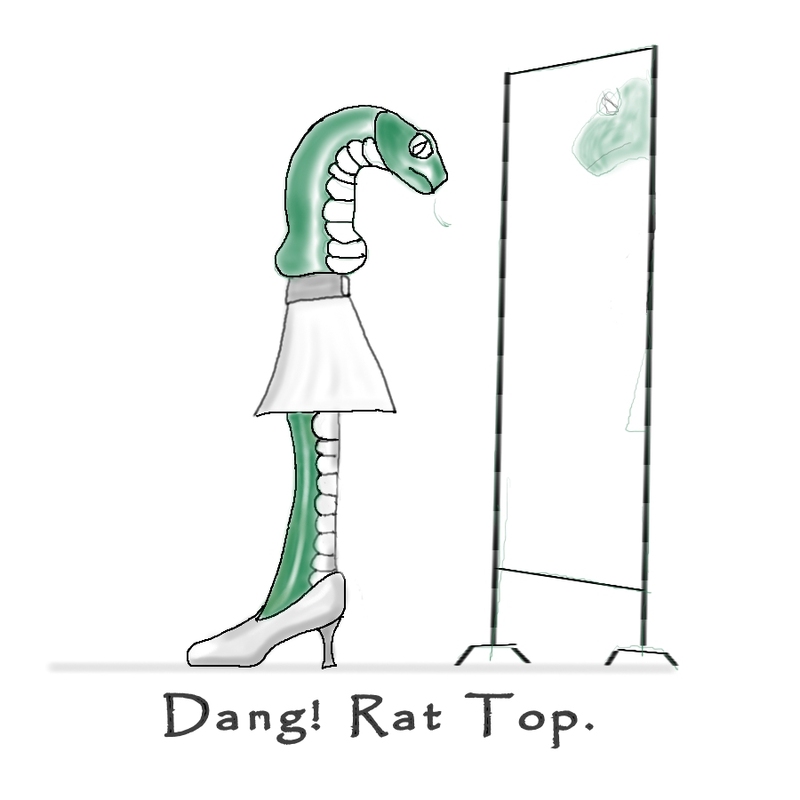 Gertrude the green snake was getting ready to party. 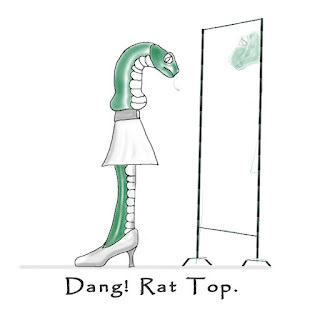 As she was primping in the mirror, Gertrude noticed she had the dreaded rat top from eating one too many meals at the Rat Hole. Good one, Larry! BTW, enjoy the Worm Cuss Words. Thanks Mel. Baitragous is now on the Outdoor Blogger Network. I have some new content and pageviews are increasing. Heck, I didn't know bait could be so fun!